When Professor Richards at Nichols College contacted us and asked if we’d like to serve as a client for his Hospitality Management Class, we were very excited to collaborate with the college and the students. Team Homegrown was created by Laura Bilodeau, Megan Mason, Hayley Gillen, Eileen Buzzard and Rachel Armand who, after interviewing Justin, proposed an event that would raise funds to be used in donation of fresh fruit and vegetables to local schools via our Hand Fruit Program. 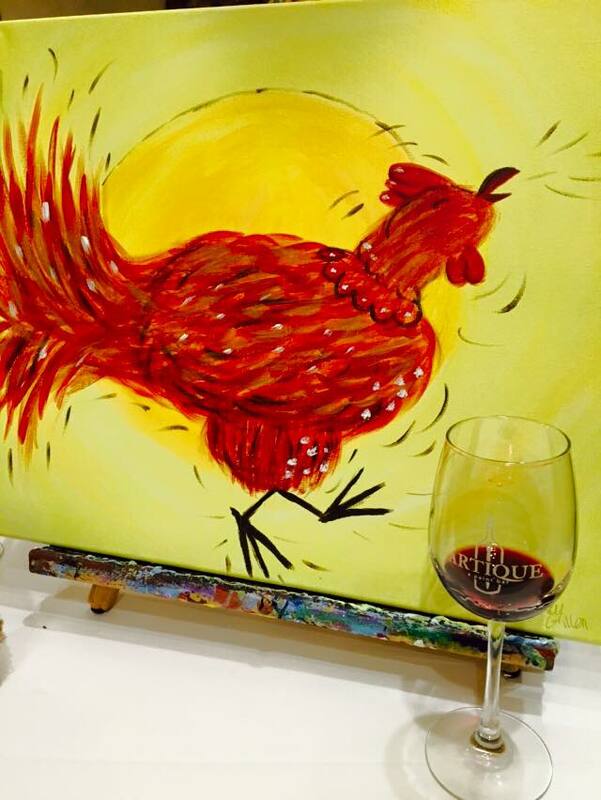 On November 15th, Team Homegrown held the event “Paint for a Purpose” at Artique Paint Bar in Putnam, CT. The event consisted of two parts; Part 1 was called “No-No GMO” and was presented to a younger audience. 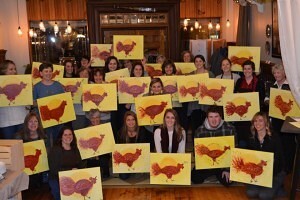 Part 2, called “Painting for a Greener Future” was held in the evening for the adult crowd. The team offered raffles to their guests with donations from Gerardi Insurance, CT Amateur Golf, The Courthouse Grill & Bar, Lisa Taylor & Richard Martin, Dr. Maykel Orthodontistry, Athena’s Homecare and Mass Threads. 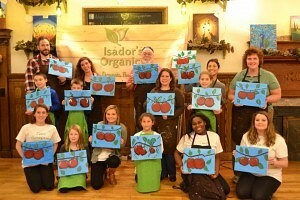 Guests enjoyed painting and learning about the benefits of eating fresh and organic food. Both events raised $486 in funds which will be used to put fresh organic produce in the cafeterias of our area schools! We are hugely thankful for being asked to be a part of this college experience and proud of the hard work and effort that Team Homegrown put forth to enable the Isador’s Hand Fruit Program to put more fresh whole food in our schools. 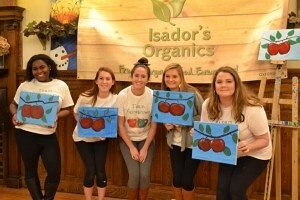 Thank you Rachel, Eileen, Hayley, Megan and Laura for being part of the Isador’s tribe! Stay tuned for the follow up to this story and see what produce was brought to the schools! Dinner for 2 is back! Dandelion Greens – More Than a Weed!